“The stockings were hung by the chimney with care, in hopes that Saint Nicholas soon would be there,” reads the passage from that timeless “A Visit from Saint Nicholas” poem that people my age used to recite out loud in school come Christmas time. So indeed, hanging stockings over the chimney has long been an integral part of our tradition, but how did it came about? How did the practice started? 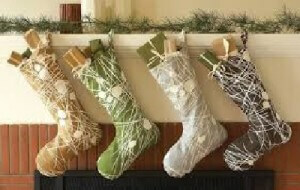 For many Christians, the story of the first Christmas stockings goes this way. Long ago in the ancient town of Myra, there was a nobleman who had fallen on hard times after his wife died from illness. The now poor man had three daughters all of marrying age. But in those days, the family of a woman to be married had to have something of value, a dowry, to offer prospective bridegrooms in exchange. The larger the dowry, the better the chance a young woman would find a good husband. Without a dowry, a woman was unlikely to find a willing groom. And in those days, unmarried women were destined to be sold into slavery, or become prostitutes. When Saint Nicholas, who was then the bishop of the town and who had inherited wealth from his parents, learned of the family’s plight, he decided to do something to help. He came in secret one night when everyone was asleep and through an open window saw that stockings have been left hanging in the fireplace to dry. The good bishop threw three small pouches of gold coins down through the chimney one after another straight into the hanging stockings. With the gold, the father finally managed to have his daughters married off and all of them lived happily ever after. Saint Nicholas became the patron saint of children and served as inspiration for the modern Santa Claus, the spirit of generosity. 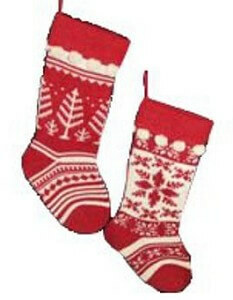 There is also a much older version of the story of the origin of the Christmas stocking. According to this version, in the ancient Nordic regions of Europe, long before the advent of Christianity, children would place their boots, filled with carrots, straw, or sugar, near the chimney for Sleipner, Odin’s flying horse, to eat. In turn, Odin would fill the boots with gifts or candy. Eventually, Odin came to be associated with Sinterklaas, another representation of the spirit of the Yuletide season. 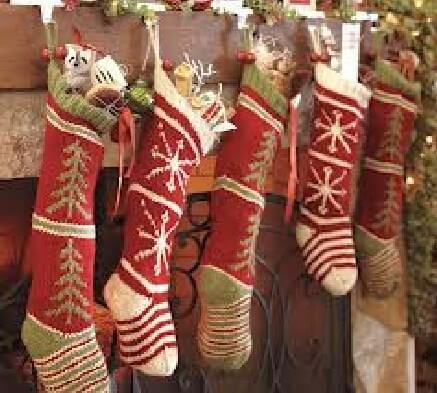 In any event, it has now become customary for children to hang Christmas stockings near the chimney, or near the window since most homes now no longer have chimneys. 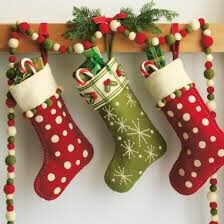 It has also become customary for parents to fill these stockings with candies, treats and small presents, in addition to the bigger ones that will be placed under the Christmas tree.